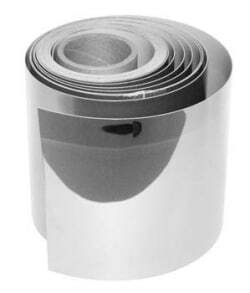 ABS Chrome Tape is impact resistant, mechanically and thermally resilient, and high quality thermoplastic which is ecologically sound. 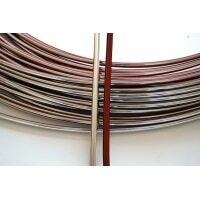 The 75 Chrome Shop chrome tape is easy to use and can be cut with a razor into desired shapes and sizes. 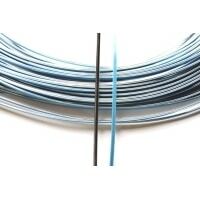 Our chrome tape has a peel and stick backing and is sold by the foot. The 75 Chrome Shop chrome trim is perfect for providing a custom look for your big rig semi truck, suv, or cars and trucks. 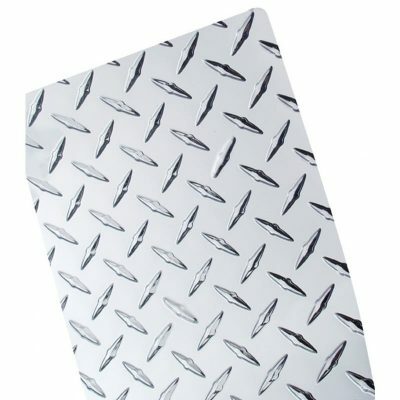 We have several different types available which are ideal for trimming your bug shields, door jams, window visors, and more! 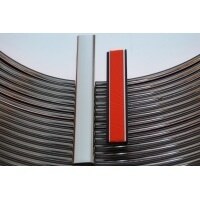 Our chrome self adhesive trim is perfect for edges, doors, and moulding too.